This blog will take a look into Nanaimo's real estate market, community news and events, and everything in between! 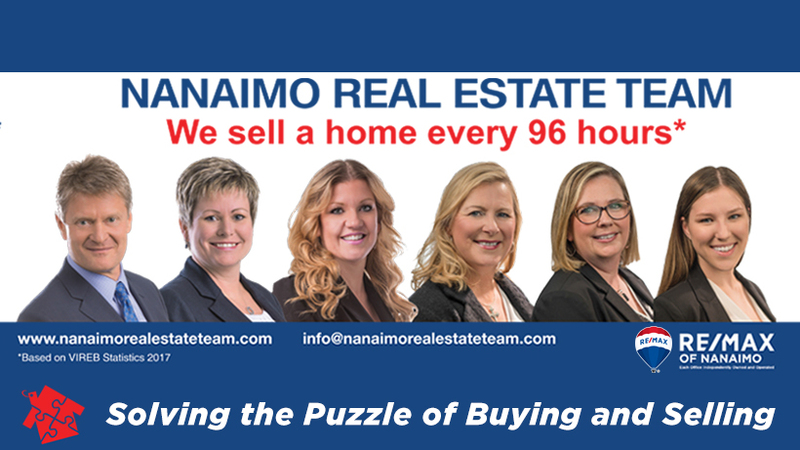 We want to keep on top of things going on in this growing city, to help show our clients what Nanaimo has to offer. Take a seat, grab something to drink, and have a read. New rules and forms have been introduced to B.C. to help further aide you as consumers in real estate transactions. The three main forms are: Disclosure of Representation in Trading Services (DRTS), Privacy Notice and Consent, and Disclosure to Sellers of Expected Remuneration (DSER). Read below to find out how they will be used throughout the buying and selling process of real estate. The DRTS form lays out what it means to be a client or an unrepresented party. This form will be presented to you before any conversation that may reveal personal information about yourself. It lets you understand the benefits of being a represented client including duties from your Realtor such as loyalty, expert advice, protection, and full disclosure versus what may happen when you are left unrepresented. It will also ask you to decide whether you are going to be a client or an unrepresented party. This does not mean that you are obligated to work with this Realtor, it is just allowing you to share confidential information about yourself, while knowing that this realtor will keep it confidential. Confidential information could include your financial qualifications, budget, and motivation. This form provides you with how, when, and why we will use and collect any personal information of yours that is necessary to your real estate transaction. The DSER allows your realtor to disclose to you (as a seller) what you will be expected to pay your real estate brokerage and the potential buyers real estate brokerage depending on the offered purchase price. This form will be presented to you (the seller) before the offer is discussed and may be presented to you multiple times depending on counter offers. With the start of Spring, the Market is continuing its torrid pace. We are seeing strong activity in homes priced below $500,000 while higher priced homes above $600,000 have slowed. That being said we are still experiencing low inventory and high demand here in Nanaimo. The average price of single family homes in Nanaimo continue to rise, March saw a 13%, increase from $464,311 to $525,712 on a 12 month moving average basis. The number of days to sell a home has decreased 20% from March 2017, similar to the trend we saw throughout last year. This is in contrast to the last few months which saw the number of days to sell increase compared to previous months in 2017. Both condos and townhouses have also increased in average price, with condos seeing a 15% and townhouses a 33% increase. Days to sell a condo has decreased 7% which follows the decreasing days to sell trends of previous months. Townhouses have also decreased in days to sell by 58%. For Inventory Statistics and further details and graphs see our Market Stats Page. January sales volume for Single Family Homes continued to be strong for the VIREB region. There was a 6% decrease on a year over year basis and Nanaimo saw a 3% decrease in sales of Single Family Homes for the same period. The average price of single family homes in Nanaimo increased 15%, increasing from $451,869 to $518,896 on a 12 month moving average basis. The number of days to sell a home decreased 35% from January 2017, which follows the trend of decreasing days to sell that we have been seeing throughout the last year. Both condos and townhouses have also increased in average price, with condos seeing a 15% and townhouses a 13% increase. Days to sell a condo has increased by 12% changing slightly from the trends of previous months. Townhouses have decreased in days to sell by 32%. Are you new to Nanaimo? Or a long-time resident in need of a new restaurant to try? Well look no further, Nanaimo's 10 best restaurants are below! Nanaimo is full of great restaurants, making it hard to chose where to eat. Websites like Trip Adviser allow tourists and locals to leave reviews and ratings of their favorite restaurants, creating a "voted by you" list of the best places to eat in different cities. Click the restaurant name to be taken to their website so you can learn more about these fantastic restaurants. "Every day, we’re chopping up seasoned hardwoods to smoke up the most incredible pulled pork, beef brisket, pork ribs, chicken, and sausage this city has ever seen. We bake our cornbread fresh every morning, hand cut buckets of fries and mix up our homemade bbq sauces and dressings, so every time you step in our door, you can smell those flavours in the air." "The Dinghy Dock Pub & Restaurant has been an attraction in Nanaimo, British Columbia since 1989. The expansive views, relaxed atmosphere and great pub fare make us a popular destination year round. We are the only registered floating pub in Canada making your experience a unique one." "Ever since the beginnings of this Nanaimo Restaurant, the Fiddlehead Bistro has been on a mission to provide the most local, organic and freshest ingredients to its customers. Our humble restaurant is always wanting to insure that we maintain a highest quality of food, beverages and most importantly service to our customers from Nanaimo and abroad.?" "At Longwood we’re committed to offering you nothing but the best and our chefs strive for the freshest ingredients all while making sure as much as possible is locally sourced... We don’t filter our beer so as to allow it to retain its vitamins, minerals, nutrients and natural flavours. This attention to detail means we strive for perfection with every drink and food item we serve, the only way worth doing it, and we wouldn’t have it any other way." "Memories of comfort and family made food and wine a natural progression for Chef Ryan Zuvich. Memories that would see him travel around the world experiencing and learning all that he could from some of the best and most recognized chefs and restaurateurs. Hand made, home-grown, nose to tail eating. Words that are now used the world over to convey the latest trends, were just how it always was for Ryan’s family and how we think it should always be." "Whenever possible we source our ingredients direct from the farmer. We have built up several partnerships with local, small-scale, family farms to bring you fresh, seasonal vegetables, free range eggs, and pasture fed, ethically raised meats." "Jack Nash, an ex-patriot from Sussex, England, built The Crow & Gate Public House on ten acres of scenic property in Cedar, near Nanaimo, on Vancouver Island. In doing so The Crow & Gate Pub became the first neighbourhood pub in British Columbia. Now a well-known landmark and favourite destination for locals and tourists alike." "Come and discover an authentic little corner of France. Gilles Le Patézour, chef and owner of Nanaimo’s only French restaurant 'LE CAFÉ FRANÇAIS' brings his distinguished awards and international work experience from nine previous countries to Nanaimo, a city he recognizes where 'people live well and like to eat fresh food.'" Voted "Best Japanese Restuarant" in Nanaimo. "Nori not only presents its guests with the finest seasonal ingredients and extensive range of premium wines, and liqueurs, it also treats diners to traditional Japanese refreshments such as sake and shochu, and beverages." "Asteras is an authentic Greek restaurant known for it’s traditional, delicious foods, warm Greek atmosphere and a focus on excellent service... Choose from sensational, traditional recipies, all originating from Crete, an island renowned for its healthy diet made up of fresh and simple ingredients. Everything in our kitchen is made in house daily, from whole foods and high quality ingredients." Did your favorite restaurant make the list? Let us know in the comment section below! December sales volume for Single Family Homes continued to be strong for the VIREB region. There was a 7% decrease on a year over year basis and Nanaimo saw a 5% decrease in sales of Single Family Homes for the same period. The average price of single family homes in Nanaimo increased by 16%, on a 12 month moving average basis. The number of days to sell a home increased 13% from December 2016, which bucked the trend of decreasing days to sell from prior months in 2017. Both condos and townhouses have also increased in average price, with condos seeing a 15% and townhouses a 14% increase. Days to sell a condo decreased 88% from 51 days to sell, to only 6, but that was driven primarily by the pre-sales at 91 Chapel Street in late December! Townhouses have also decreased in days to sell by 35%. Inventory levels are extremely low across all three major market segments of homes confirming it is still a strong Seller’s market. It has never been a better time to Sell while Buyers must act quickly in order to be fortunate to purchase a well priced property. For further details and graphs see our Market Stats Page. Happy New Year to all of our wonderful clients! We're very excited to see what this year will bring! Here's to a great 2017 and all the possibilities that 2018 has to offer! Let's talk about being a First Time Home Owner. There is a lot going on when you decide you are ready to buy your first house, questions like: What can I afford for a down payment?, Where do I want to live? and many others can start to make things a little stressful. But don't fret, these are the kinds of questions that your Realtor, Mortgage Specialist, and even the Government want to help you with. You might be asking yourself "what's the Government going to help me with?" well, let us tell you. So, let us know what you think of this program! Is it going to work for first-time home buyers? Will the Government be able to succeed in their hopes for this program? Leave us a comment! Find more information and ways to apply for this program at the Province of British Columbia's website.